Kaizen is one of the core principles of The Toyota Production System, a quest for continuous improvement and a single word that sums up Toyota’s ‘Always a Better Way’ slogan. Kaizen (English: Continuous improvement): A philosophy that helps to ensure maximum quality, the elimination of waste, and improvements in efficiency, both in terms of equipment and work procedures. Kaizen improvements in standardised work help maximise productivity at every worksite. Standardised work involves following procedures consistently and therefore employees can identify the problems promptly. 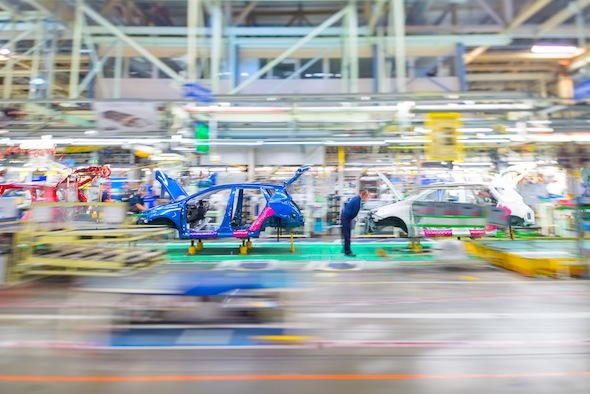 Within the Toyota Production System, Kaizen humanises the workplace, empowering individual members to identify areas for improvement and suggest practical solutions. The focused activity surrounding this solution is often referred to as a kaizen blitz, while it is the responsibility of each member to adopt the improved standardised procedure and eliminate waste from within the local environment. Kaizen begins in the early designs of a production line and continues through its lifetime of use by a process of consensus known as Nemawashi – read our explanation here. Alternatively, see more about the Toyota Production System in our glossary.